The Friends of the Mercer Library are sponsoring an Earth Day poster contest, now through April 25. Over $200 in cash prizes will be awarded to students in three age categories. The contest is open to all kids up to age 18. Posters will be judged on their Earth Day message; originality and creativity; and design quality and attractiveness. Cash prizes will be awarded, including $50 for first place and $25 for second place in each of three age categories: preschool to grade 2, grade 3 to grade 6, and grade 7 to grade 12. 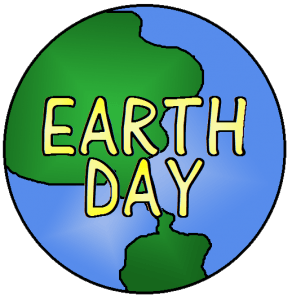 Posters must be submitted to the Mercer Library by Thursday, April 25th at 5:00 p.m.
All posters will be on display and winners will be announced at the library’s third annual Earth Day Fair on Saturday, April 27th at 10am to 12pm. The fair will include activities for all ages, door prizes, information booths from area businesses and organizations, snacks, and more. Registration forms for the poster contest are available at the Mercer Library or at the library’s website, mercerpubliclibrary.org. Posters can be created on the official entry form or on any paper or canvas up to 11″ x 17″. For more information, call the library at 715-476-2366.